Amanda Davis epitomizes integrity, tenacity, and loyalty in every detail of your real estate transaction. As mother of three boys, Amanda exudes compassion and pride while being able to gracefully embrace and overcome challenges. Amanda grew up in Short Pump and is now raising her family with her husband in Hanover County. After a whirlwind year at VA Tech (Go Hokies! ), Amanda transferred to Virginia Commonwealth University and graduated from the university’s Paramedic Program. She has served the community for over 10 years as a paramedic in both a pre-hospital and an emergency room capacity. James, her husband, is a firefighter for Hanover County Fire and EMS.She and her husband developed an affinity for real estate after flipping their first investment property and with her eye for interior design, investment knowledge, and hard work ethic they have been fortunate to be successful in their investment properties. 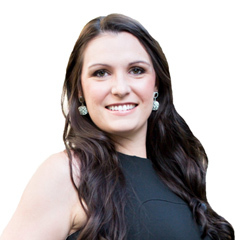 Amanda has a passion for helping others and helping others to reach their fullest potential and she would love to help you to set your roots and grow. In her spare time, Amanda enjoys crossfit workouts, baking cakes, riding horses, and playing with her boys and dogs (Blaze the Labrador and Louie the Goldendoodle). She takes pride in providing excellent customer service, impeccable attention to detail, and truly puts her client’s first and works tirelessly to get the best outcome for them.